It’s been a week of ‘waiting’. It should be the last week of waiting. Insurance papers were sent to the landlord. It’s been nearly two weeks since I had a company (the same that did the insurance) work on the brewers bond. I have inquired several times on the status but it has been radio silent the last time this past Friday. This frustrates me as I need it to finish the Federal Brewers application and every day this is stalled, is another day I delay in opening. I will be making phone-calls this week on getting estimates from other companies and telling the current one ‘this is your last chance’. If it honestly takes a few weeks to do this, then just give me some communication, that’s all I ask. I run into this problem frequently with other companies. Ironically I find it extremely difficult to give companies my money! All I want to do is to better plan. Not talking to me at all just irritates me. Get the keys this week to go in and get to work (and to get those ‘for lease’ signs down 😉 ). This will involve additional measurements, taping the floors off to ‘model’ where everything will go. Get the utilities switched to my name. Brew. We’re going to have another brewday on the homebrew level to work on some recipes. I’m thinking working on the IPA made a few months ago – develop it more, work on the filtration. I have also figured out a way to dry-hop under pressure fermentation and I plan to test it. I also want to make the Pilsner and fine-tune some of the hop levels. Food. We will also start working on some food. My wife and I want to develop a great fresh, smoked, pulled pork recipe infused with one of the beers. We also want to experiment with hot-dogs and brats with the hot-dog rollers…keeping them fresh, cooking times, etc. My wife and I just enjoyed our 15th wedding anniversary. Though we also did some research while on our getaway. 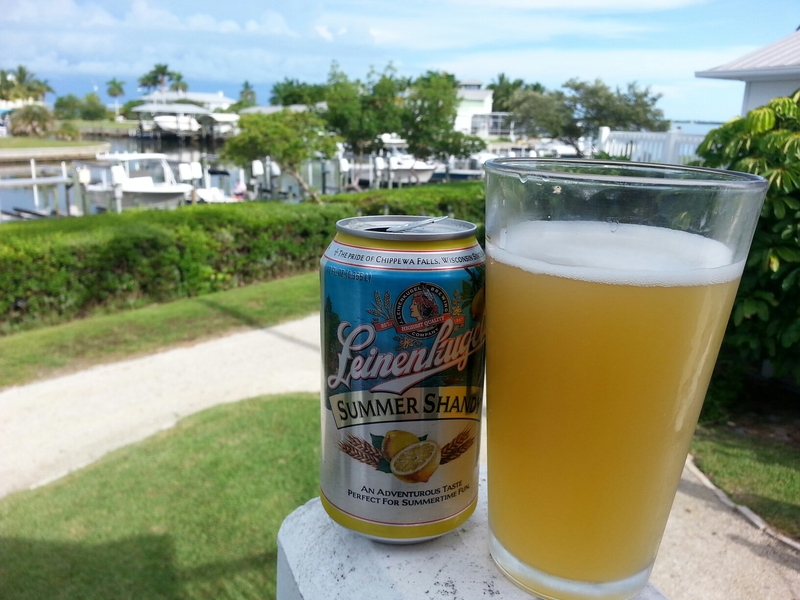 We hit-up the Lazy Flamingo in Sanibel. A very small place with one cook and one bartender. About room for 20-30 people tops. You go to the bar to place orders, get drinks and food. It actually worked. A great bartender – though busy. We want a similiar, efficient style, though with enough bartenders where there is time to talk about the beers and interact more with the customer. We were able to get Cigar City’s Jai Alai ON TAP! 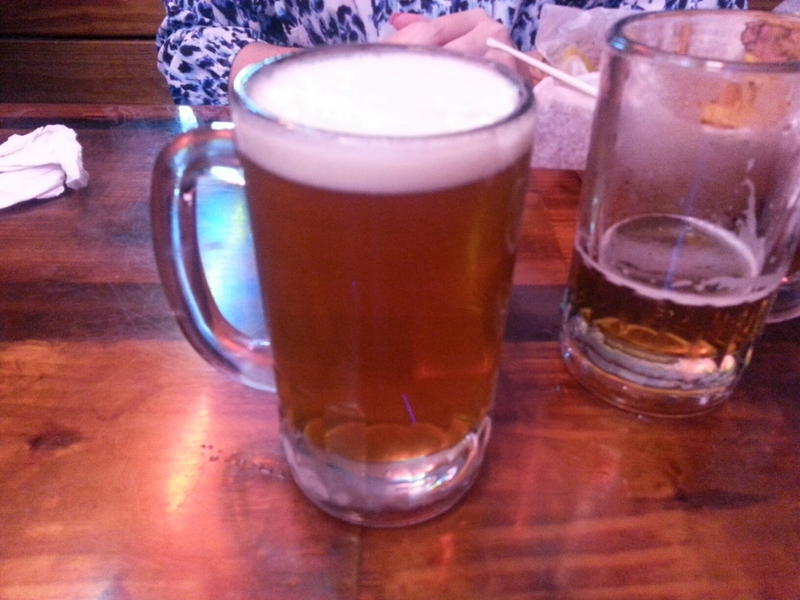 Cigar City Jai Alai fresh from the tap! 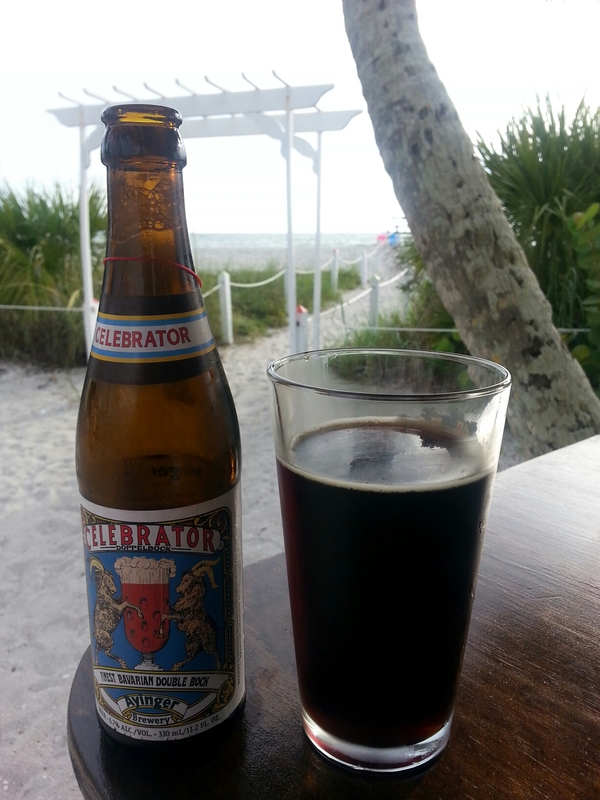 A Dopplebock ‘Celebrator’ – I had this on our 15th year anniversary…how apropos! It was a very smooth, caramely Bock from Ayinger: http://en.ayinger-bier.de/?pid=118 I make and excellent bock, it’s time to Dopplebock it. 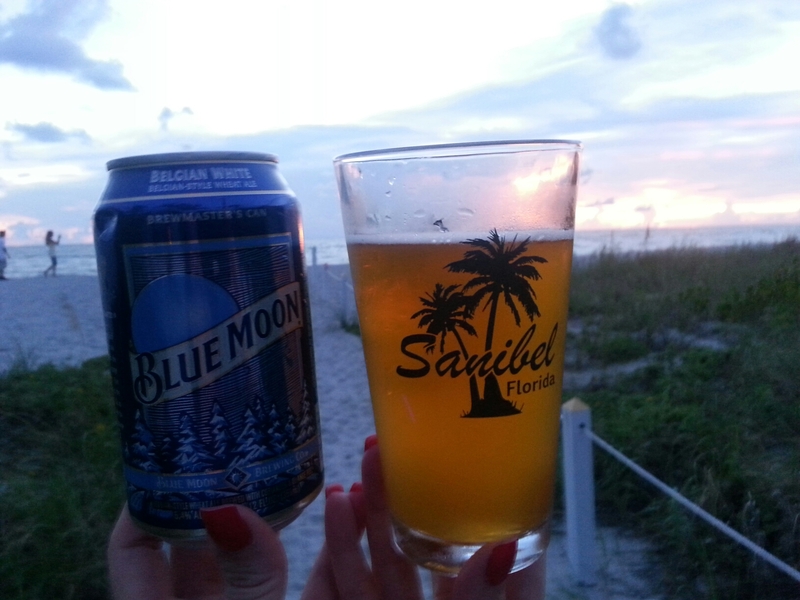 Blue Moon…I have to say, I love this beer (and Shock Tops Belgian) when in Florida…or anytime it’s hot. 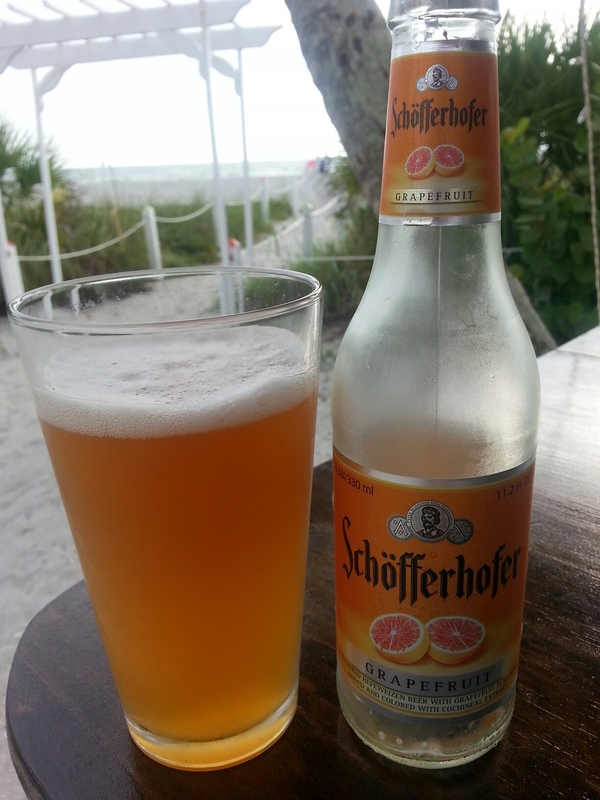 This was an interesting grapefruit beer from Shofferhofer – I would almost characterize this as a shandy. It was good and my wife liked it…it went fast! 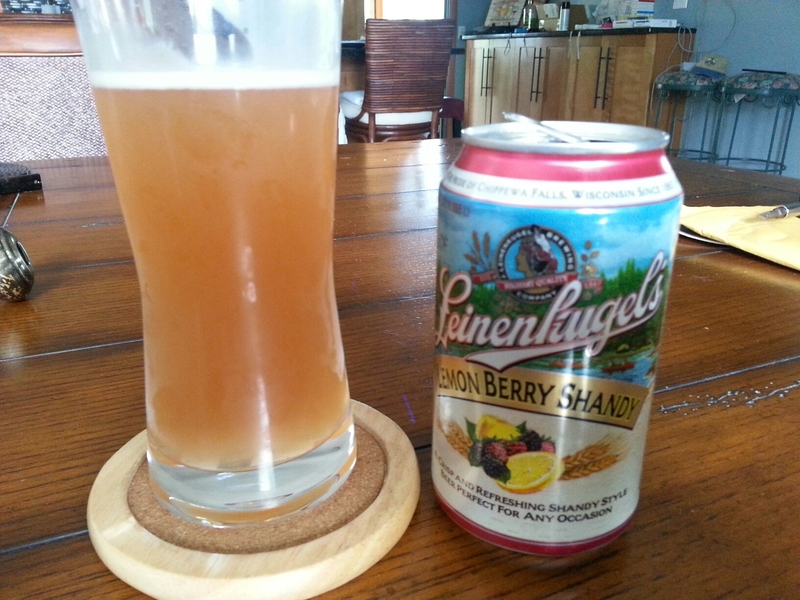 It has inspired me to do an atypical shandy that is a little less sweet and a little more tart. 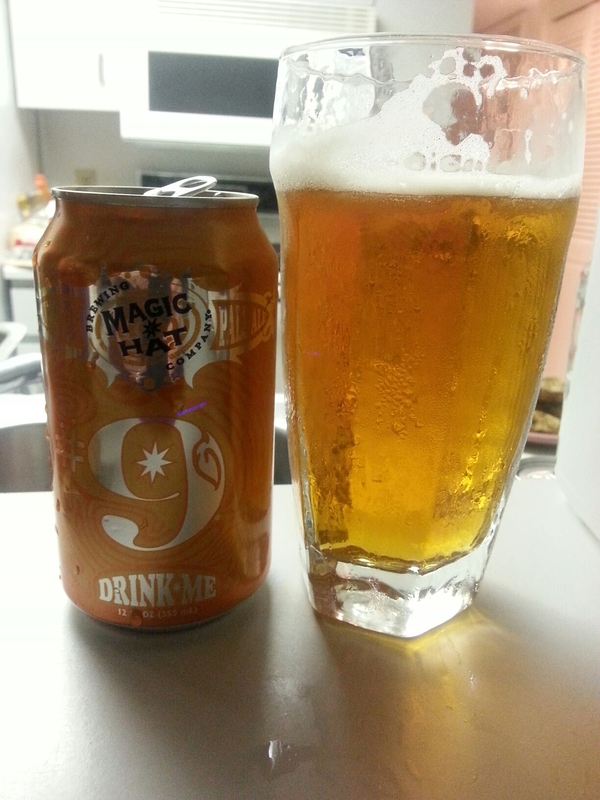 Magic Hat #9. Interesting. 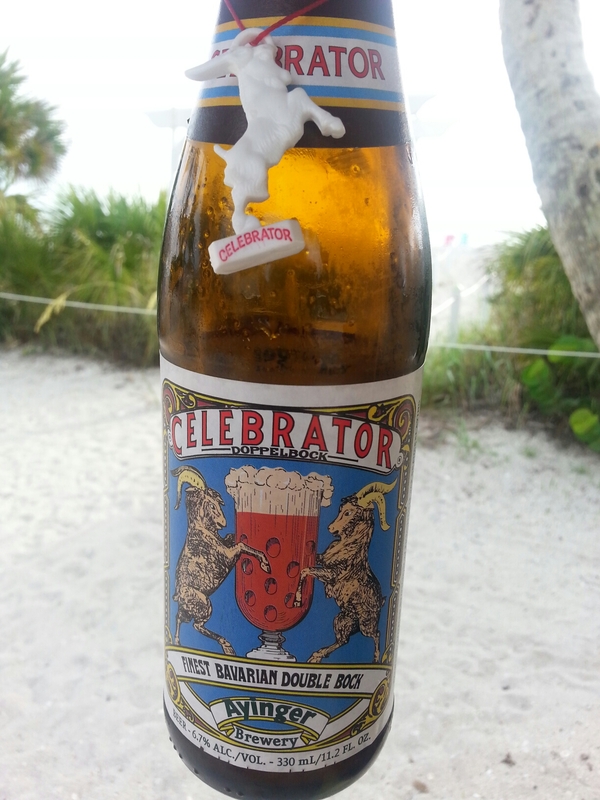 This beer sold like hot-cakes in Cocoa Beach. I just couldn’t pinpoint the ‘secret’ ingredient. After googleing, I found out it was Apricot – though subtle. A good beer nevertheless. 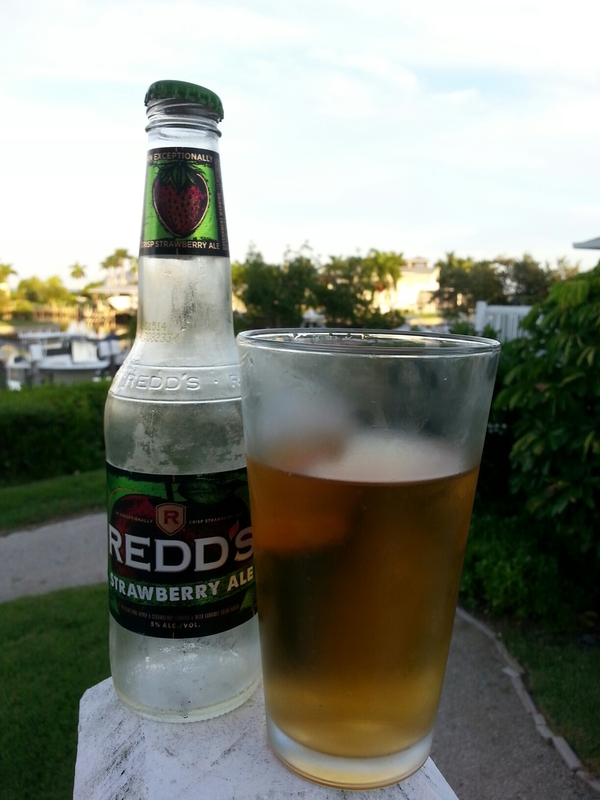 Redd’s Strawberry Ale. Not bad…closer to a shandy than an ale. Very Strawberry-y. 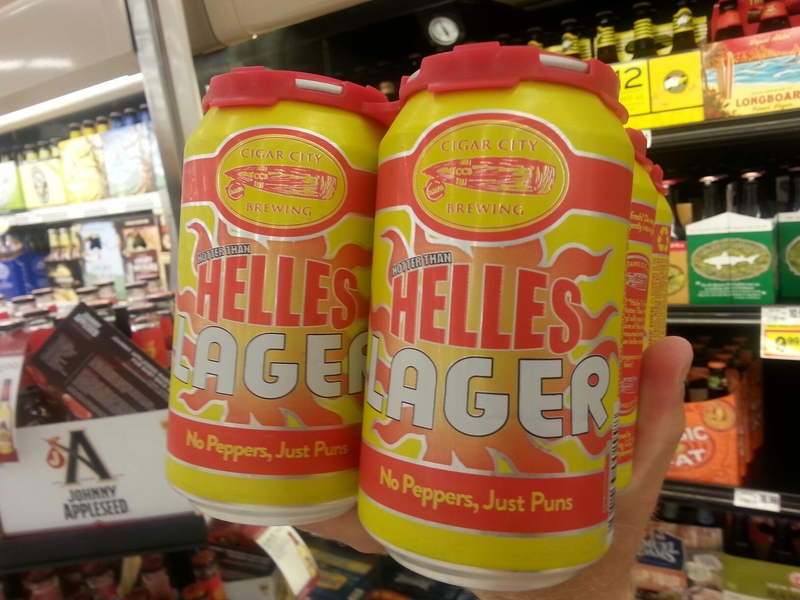 Cigar City Helles. Not a fan. This is a very light style for ‘hot’ days. To me, too malty sweet. I brewed a strikingly similar beer that I am not too fond of. I find the yeast is all the more important when brewing such a light style. Cigar City’s other offerings are very good though. I also tried several hard ciders. Honestly I am not impressed. ALL of them either had ‘natural’ or ‘artificial’ flavors added. And they are too sweet. I have been making cider for several years and prefer a dry, tart cider…not these candies. One honestly can’t get a ‘purely natural’ hard cider. I intend to change that. 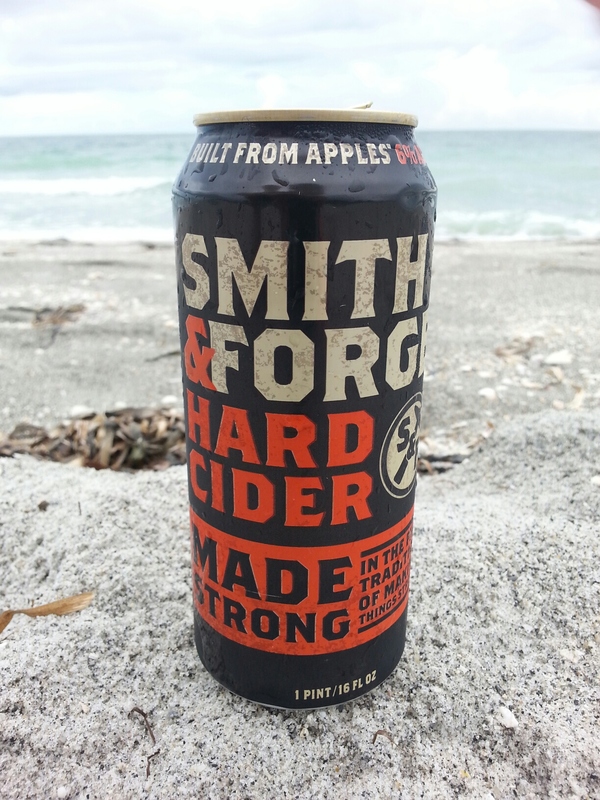 Smith and Forge’s hard cider was ‘made with apple concentrate’…yes, it tasted like apple juice. 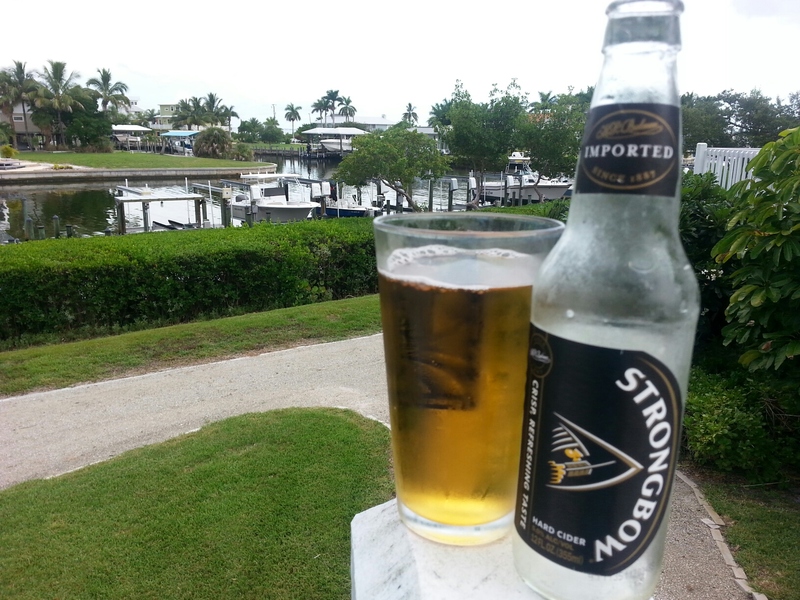 Strongbow…I believe this one too had some natural or artificial flavors. 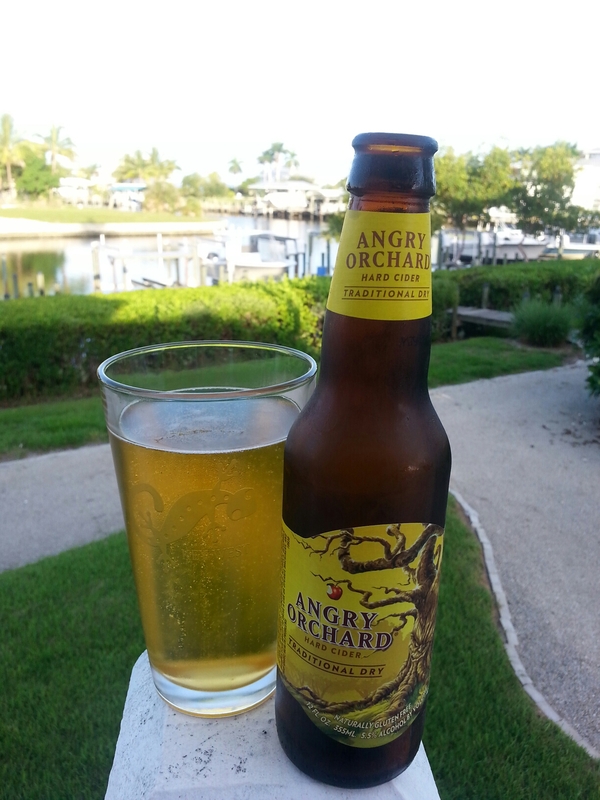 Angry orchard’s original. Still has ‘additional flavors’ added. 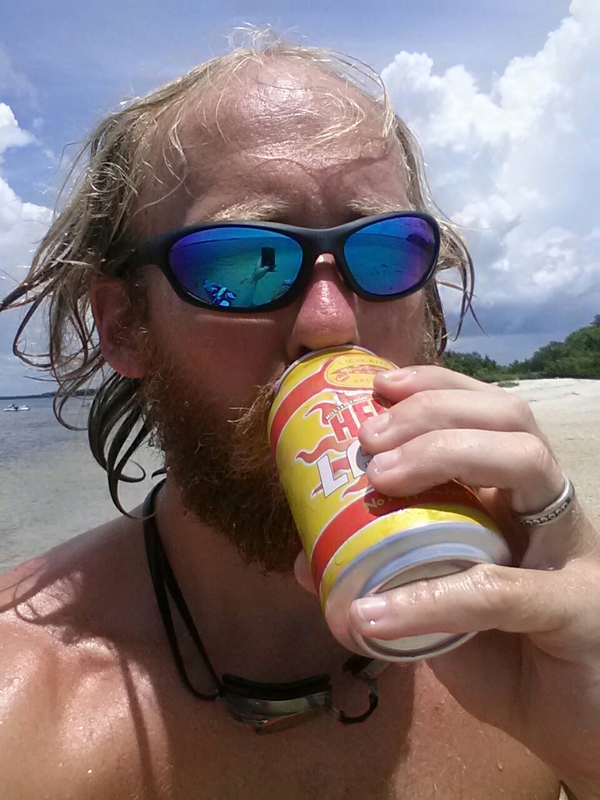 Previous PostBUILDING R.SHEA BREWING: Week 1, Aug 4-10, 2014Next PostSeasonals out of Season? Holy crap, you two have been married for 15 years?! Congratulations! Sure doesn’t seem that long ago though. Keep on pushing through the bureaucracy. With enough patience and alcohol, you can get through any amount of red tape! I love small batch beer company’s, except Corona, my favorite light beer. I will be a regular. I have home brewed two batches and I am looking forward to trying my on recipes o one day.